Nashua Eye doctor John Dagianis (center) has been serving southern New Hampshire for more than thirty years. In his free time he serves indigent populations around the world. Dr. Dagianis has performed eye exams and cataract surgery as part of a medical mission many times. 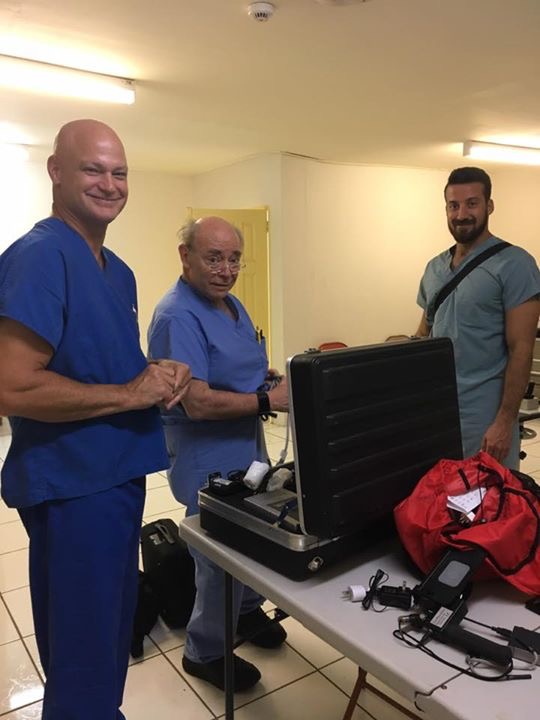 The missions aim to treat underserved people, as well as help train local medical doctors and surgeons to continue best practices when the trip is over. Most recently, as part of the Mobile Medical Mission Hospital, Dr. Dagianis visited St. Vincent and the Grenadines. The team completed over 600 eye exams and 90 surgeries in a week. Nashua Eye is proud count among its doctors servants to the world's neediest.